After remodeling, Your Private Collection has a fresh new look and fresh new art! 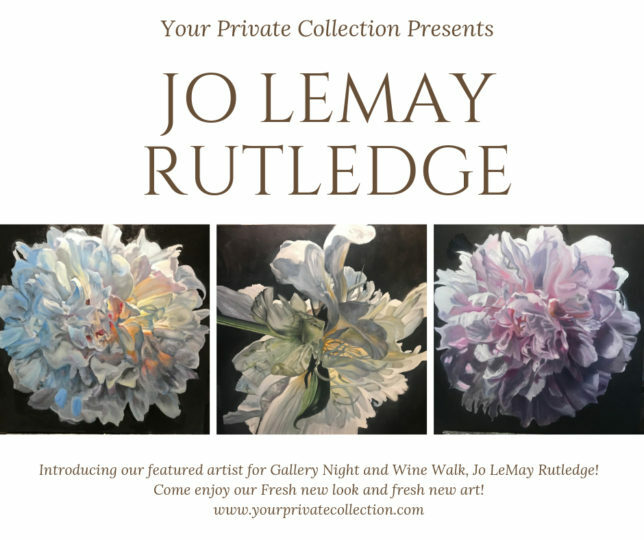 We are proud to present our featured artist will be Jo LeMay Rutledge whose work is not only stunning but widely collected! Come join us for Last Saturday Gallery Night on Historic Granbury Square April 27th from 6pm to 9pm. 106 North Houston, Granbury, Texas.